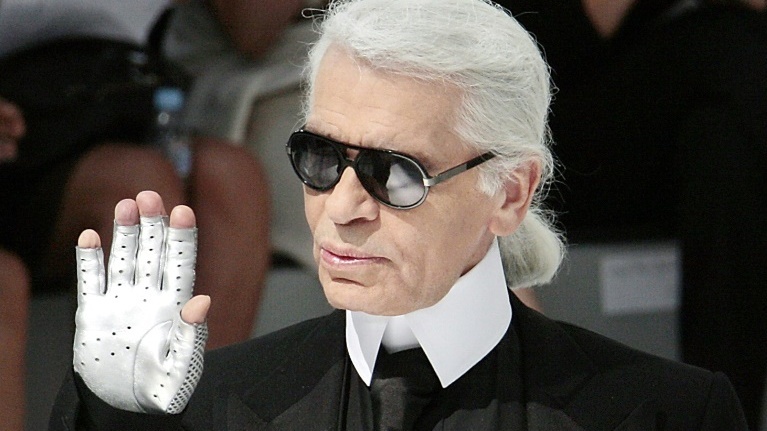 PARIS: The fashion world was plunged into mourning yesterday (Feb 19) by the death of legendary designer Karl Lagerfeld, the rapier-witted dandy who ruled over the industry for half a century. 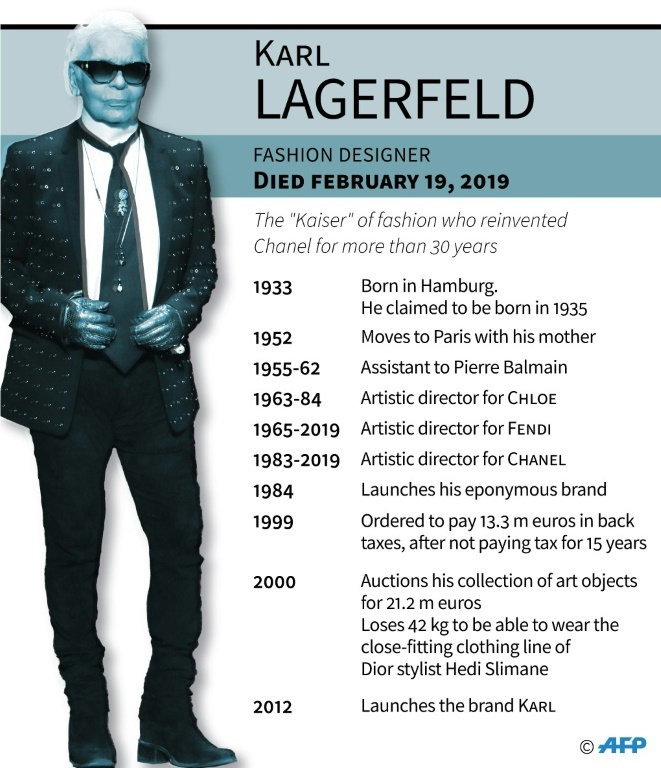 Key dates in the career of star fashion designer Karl Lagerfeld. Chanel, the iconic French fashion house he led for nearly four decades, confirmed his passing at the age of 85, prompting an unprecedented outpouring of emotion from designers and celebrities. Speculation about the state of health of the man they called the “Kaiser” had been rife since he missed Chanel’s Paris haute couture week show last month, with the world’s richest brand saying he “was tired”. Lagerfeld left many younger creators in the dust well into his 80s, turning out collections season after season for Fendi and his own label, as well as Chanel – the world’s richest brand. In recent years the prolific German had visibly weakened, even if his extraordinary creative stamina showed little sign of flagging on the catwalk for the three brands he led. Friends had always said that the creator would die with a pencil in his hand, and just last week his own fashion line Karl Lagerfeld was still announcing new design collaborations. But speculation about his health spiralled last month after he missed the first show of his life, with Chanel executives saying that he “was tired this morning”. Chanel said the reins of the $12.7 billion (B395 billion) brand had been handed to Lagerfeld’s right-hand woman, his head of studio Virginie Viard. The designer invited Viard on to the podium with him at the end of two Chanel shows last year to acknowledge how much he relied on a woman he called “my right and left hand”. Donatella Versace led the tributes among fashion’s leading players as news of Lagerfeld’s death broke. “Karl your genius touched the lives of so many, especially Gianni and I,” she wrote on Instagram, referring to her murdered brother who founded her brand. Bernard Arnault, the most powerful man in fashion and owner of the luxury giant LVMH, said he was “infinitely saddened” by the loss of a “very dear friend” and a “creative genius”. “Fashion and culture have lost a major inspiration. He contributed to making Paris the fashion capital of the world and Fendi one of the most innovative of Italian brands,” the billionaire said. “I cannot tell you how much you meant to me and how much I will miss you,” the German star wrote on Instagram. “I will never forget your kindness towards me, your laughs, your imagination. I came to France to see you this week and introduce you to my daughter... I’m heartbroken I was too late,” she said. He was “always so kind and generous to me both personally and professionally. RIP,” the former Spice Girl added. Fellow British designer, writer and model Alexa Chung said she was “so scared” when she first met the designer, but Lagerfeld was “incredibly witty and generous. Thank you for inviting me to some of the most glamorous experiences of my life. “And thanks for the dry shampoo tip. Will always think of you as I powder my wig,” she joked on Instagram, echoing the designer’s own love of repartee. Politicians also queued up to pay tribute to the designer. “Karl Lagerfeld is an immense personality, someone out of the ordinary,” French Interior Minister Christophe Castaner told RTL radio.